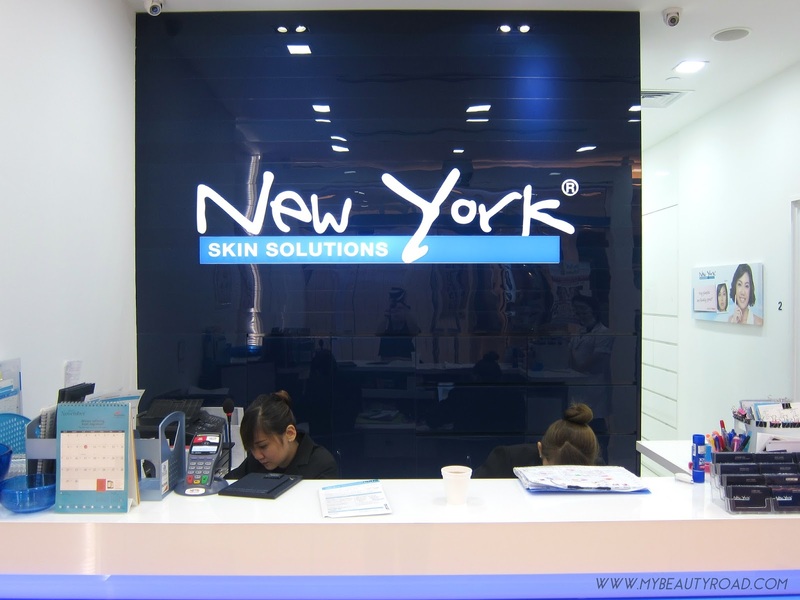 As I am typing this, I have visited New York Skin Solutions for the 7th time now, and I am honestly happy to report that I have been beyond pleased with their service and professionalism. Hello from the other side ...of the blog category! I'm no lifestyle blogger, but this is one topic that I'm most excited to blog about. With the title of this post, I'm sure you already know what I'm gonna talk about - that's right, Trick Eye Museum! 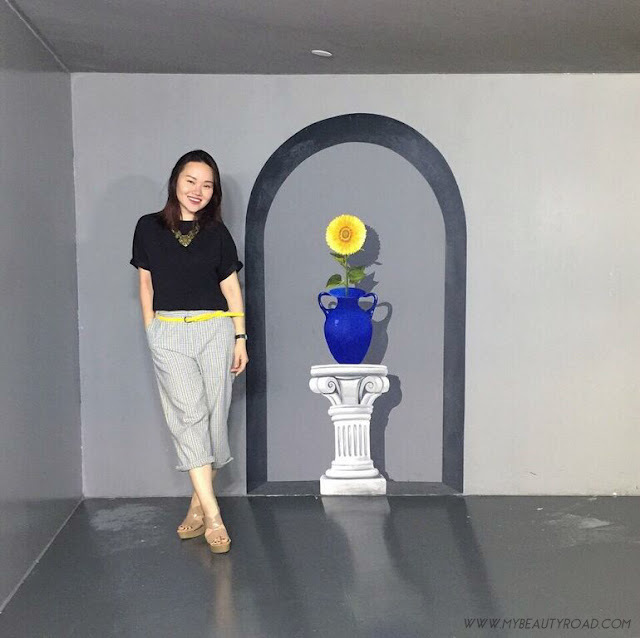 Trick Eye Museum is no foreign place to us Singaporeans, and especially so to Koreans. When the Korean-based museum reached the shores of Singapore last year, it quickly became one of the main highlights in Resorts World Sentosa that most tourists (and Singaporeans) will not miss out on. It probably remains as the only museum where you can touch anything and everything, and take as many photos (even with flash) as your heart desires! However, for those of you who have visited Trick Eye Museum, it is not likely for you to head back again, unless you go with different friends and family members, as there would be nothing new for you to see and be fascinated by. Trick Eye Museum has recently revamped some of the zones, which means you can now expect to witness new themed zones and exhibits! The best part? There are even interactive 4D exhibits now! Don't you love how they include this just in time for the festive season? Fret not if you can't make it in time to head down before Christmas; there is also a Chinese New Year version that is just as funny and adorable! I have never been to Trick Eye Museum before, so everything was new and interesting to me! Yes, I was one of the few who had never been there - I almost went with my mum once, but it was so crowded that we decided not to join the queue. Hence, I was beyond thrilled to be able to bring her along as my 'plus one' when I received a pair of invites from The Influencial Network - thanks guys! Since my discovery of DCS' AQUADERM range, I couldn't stop using the ampoule, and it wasn't long before I used up the whole bottle! 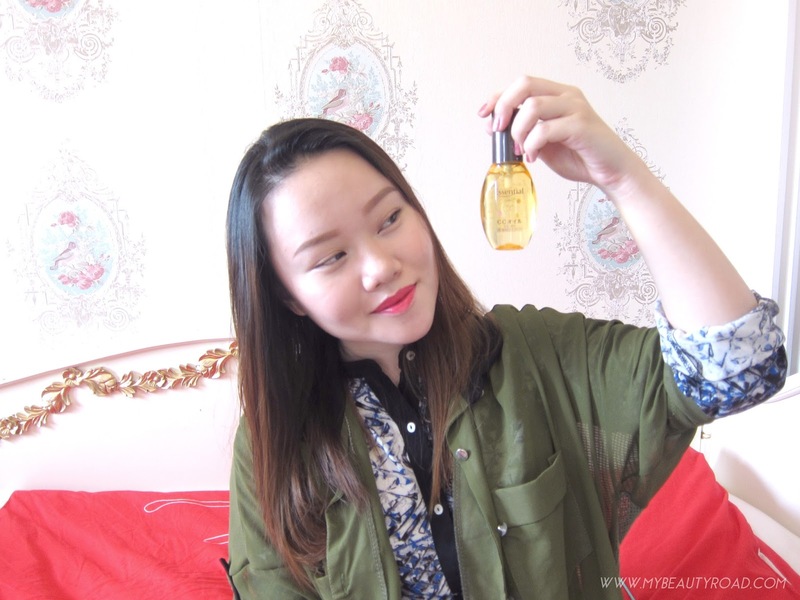 I was pleasantly surprised with the positive results (skin appeared more radiant and hydrated) given the affordable price tag, which is of course a great thing for my wallet! Well today, I am glad to introduce another range of DCS to you - NUTRIDERM. 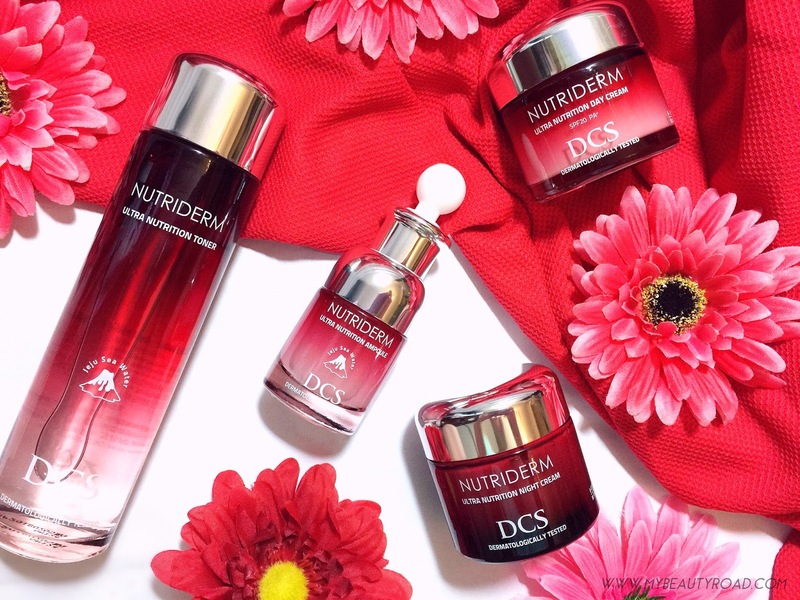 "From the brand that harnesses the volcanic power of Jeju, DCS helps you embrace the youthful and dewy skin of Korean women with its anti-ageing range, NUTRIDERM. Keeping away fine lines with the powerful anti-ageing properties of the rare Korean ginseng berry, this NUTRIDERM range is gentle on the skin and kind on the wallet." "When you are smiling on the inside, you smile on the outside." This is the mantra that Smile Makers live by, and I think there is no better quote for the sexual well-being brand that aims to make you smile with their new line of personal lubricants. Put your hands up if the above status applies to you as well. I chanced upon this funny "quote" while browsing through my Instagram feed and I thought, how true is this? For someone like me who is not blessed in the brow department, I spend the longest time drawing my eyebrows and trying to perfect them; it is a satisfying but troublesome daily affair. Having my "eyebrows on fleek" is addictive, and I have never left the house without a pair of eyebrows I'm satisfied with - at least not in years. This addiction is unfortunately very time-consuming... until I visited The Best Beauty Centre, where my non-existent eyebrows got resurrected in style. To me, Essential is a Japanese hair care brand that needs no introduction. 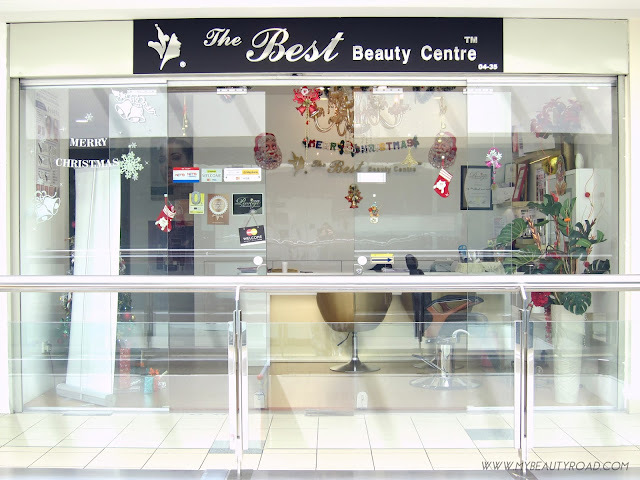 This is the brand that caught the attention of us girls when they first launched their shampoos, conditioners and hair masques in Singapore (remember the pink and orange bottles?) years ago. I remember the old version of their hair oil (called Essential Serum) being pretty popular too. Back when I used to work for Watsons, I would never fail to walk to the hair care aisle, grab the Essential Serum and moisturise my own tresses hehe. Essential has since re-formulated their hair oil, and the new version is called Essential CC Oil! Their old Treatment Milk (for nighttime use) has also been re-formulated and is now called Essential Night Care Milk. Even as a girl with oily skin, I am constantly looking for skincare products that will effectively improve my skin's hydration level. The more hydrated one's skin is, the lesser oil it will produce, and this will also result in lesser breakouts. Because I also have sensitive skin, keeping my skin hydrated will improve my skin's sensitivity as well. I have never heard of Goodal before, but I'm glad to have recently discovered this naturalist skincare brand from Korea. Goodal has recently introduced a new range called Moisture Barrier, and it consists of 4 different skincare essentials designed to repair the moisture barrier of the skin, thus keeping one's skin plump and hydrated. 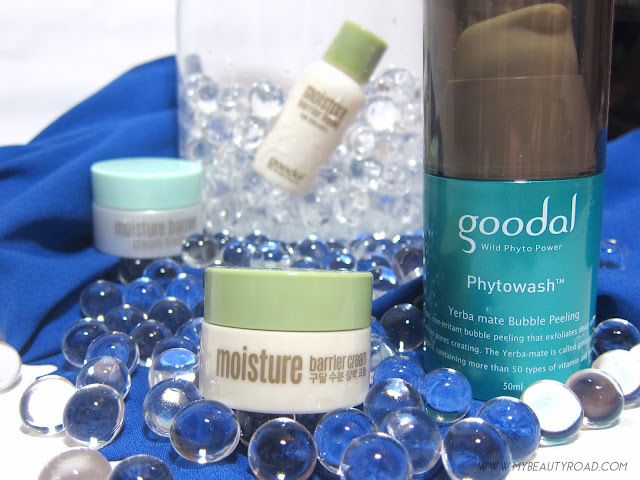 I received a cute little press kit from Goodal, and the mini travel-sized bottles allowed me to try their Moisture Barrier range for a few days.